Getting old is easy, it’s getting better that matters - EFPS - European Food Processing Systems Ltd. The founders of our separation business set out 125 years ago to develop a state-of-the-art, hand-operated milk centrifuge. They were driven by their own entrepreneurialism, a desire to use their technical expertise and love for innovation to improve customers’ lives and businesses. Their efforts laid the foundation on which GEA’s separation and decanter business has grown and from which our customers continue to benefit. Early patent drawing of the Westfalia separator from Ramesohl & Schmidt, 1895. If you work with GEA today, it might be difficult to comprehend the very humble beginnings of our now world-renowned separator and decanter business. It was in fact, just two men, businessman Franz Ramesohl and cabinetmaker Franz Schmidt – brothers-in-law – who pooled their resources in 1893 to open a workshop, Ramesohl & Schmidt, in a rented barn located in the center of the small German town of Oelde. From here they produced their hand-operated milk separator, known as the ‘Westfalia’ which they named after the region where they lived in northwestern Germany. The team consisted of just two cabinetmakers and three locksmiths, using simple equipment, including a couple of lathes, a drilling machine, a grinding stone, a whetstone, a gas engine and a forge fire. In those days, farmers milked their cows by hand and then separated the milk into cream and skimmed milk. Some of the skimmed milk would normally be consumed by the family and the rest fed to livestock; the cream was turned into butter or cheese or sold – or all three – making milk separation a critical aspect of farm life and its operations. However, separation could take hours, increasing the chances that the milk would turn sour in the process. 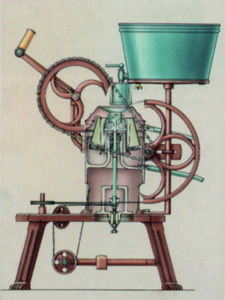 The ‘Westfalia’ made separating sensitive raw milk easier, faster and more efficient by utilizing the basic laws of physics and centrifugal force whereby the solids and the liquid are separated from each other via fast rotation in a bowl – a godsend for busy farmers and their families. Ramesohl & Schmidt AG, April 1896, with approximately 30 employees. In just six years, Ramesohl & Schmidt became a joint stock corporation due to the rapid success of their excellent product, which could be easily distributed thanks to an excellent local railway connection. 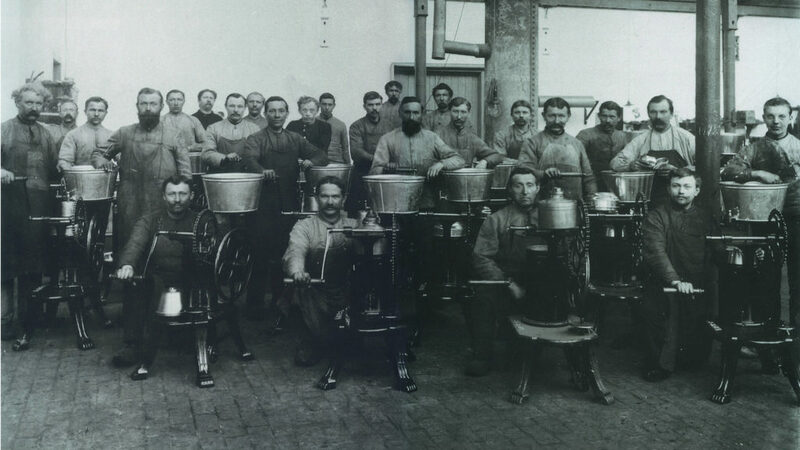 By 1900 more than 10,000 of their milk separators were in use and in 1904 they branched out into other applications. They also produced motorcycles and automobiles, but by 1919, decided to refocus, concentrating on what had made their business so successful in the first place – centrifugal technology. Fast-forward 125 years, and GEA’s separation expertise now encompasses more than 3,500 different processes and is manifest in 2,500 products for use in industries ranging from dairy, food and beverage, marine, oil and gas to power, chemical, pharmaceutical and environmental technology. 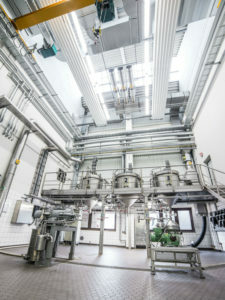 Production halls 5 and 6 at GEA in Oelde, Germany. What was a small workshop with a handful of employees and tools in Oelde has today been replaced by the most advanced separator plant in the world. Finished in 2013, the redesigned Oelde site, along with two other new separator plants in Bengaluru, India and Wuquing, China, confirm not only GEA’s commitment to produce the best centrifugal products on the market, but also to be where its customers are by adjusting and optimizing its own supply chain and operations. Oelde is in fact GEA’s largest single site worldwide with a production area of around 37,000 square meters and approximately 1,900 employees, including around 180 trainees, working in design, production and administration. From the outside, the business would be unrecognizable to its early founders, but inside it’s the same spirit, expertise and desire to develop technologies that solve customer challenges and improve peoples’ lives that goes into each finished product and solution – from design and development to testing, delivery and service. Over the past decades, GEA has used its interdisciplinary expertise to translate its centrifuge knowledge into customer-oriented solutions across diverse applications – many, if not all of which are now indispensable to modern industry and life. And we are constantly striving to set new standards for quality, efficiency and environmental stewardship. 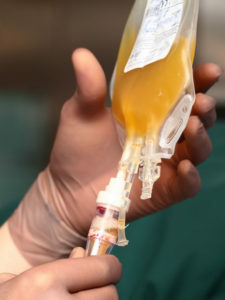 Our technologies guarantee the efficient use of valuable resources: every kilowatt hour not consumed, every liter of water saved, every additional kilogram of product gained from milk, apples, soy, wheat or olives; every cubic meter of effluent avoided or recycled; the additional blood plasma fractionated or cell components processed for vaccine production – all add up to a better world. Our “hidden champions,” often operating in tight spaces, labs or darkened mechanical rooms and plants, are seldom in the limelight, yet nonetheless, delivering excellent results. Nowhere is this more so than in the marine industry, where the company’s credentials date back to 1926, when the first Westfalia mineral oil separators were installed onboard seagoing vessels. Today, GEA separators for treating fuel and lube oil, as well as bilge and ballast water help shippers meet ever-stricter environmental standards – where margins of error are expressed in parts per million. We’re serving blue-chip customers in the marine sector, but we’ve never been satisfied with merely swimming among the global competition; we want to beat the benchmark, even if it’s our own, when it comes to increasing efficiency. The growing awareness for the environment that developed in the 1970s spurred the company, then Westfalia Separator AG, to develop environmental decanters for use by municipal and industrial wastewater treatment plants. 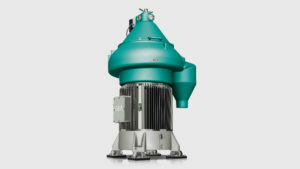 Unlike its previous separators, the Westfalia decanters used the same centrifugal principles, but were designed to handle higher solids content in the suspension regardless of the task: clarifying, separating, dewatering, classifying or thickening. Highly sought after, today’s GEA environmental decanters are hard at work all over the world, well-known for their ability to automatically adjust to changes in the solids level or fluctuations in the feed concentration, as well as for their overall durability and efficiency. Our reputation for quality was reaffirmed when 30 GEA decanters for sludge dewatering and thickening were integrated into a high-profile, multi-year project to establish the world’s largest water reclamation plant in Singapore. The decanters greatly reduce the city’s water dependency and sludge disposal costs and allow the plant, known as Changi, to return much of its former wastewater back into the ocean or a nearby lake from which potable water is generated for people and for industries requiring high purity water. In Asia, the Indian government and several of its municipalities are leveraging GEA expertise and solutions to address water and wastewater issues. Numerous GEA biosolids Decanters have been sold and integrated into wastewater treatment plants in Bengaluru, Surat, Mumbai and Varanasi. Likewise, GEA decanters have been purchased as part of the effort to clean up the Ganges river. And in some applications, separators and decanters deliver the best results when working in concert, such as in mineral mining applications, where left-over process water must meet ever-higher standards and customers are striving to extract more value from mineral resources. Technologically, the world has moved on since 1893, but our business philosophy remains the same: to develop efficient solutions for our customers which improve the lives of people and promote a better world. One example is the role our separation technology is playing in the EU DRIVE4U project, where GEA is developing plants and lines for processing the roots of Russian dandelion, from which rubber and inulin – both important across diverse industries – can be extracted. This technology promises to ease our dependence on the less sustainable rubber tree. Because the application of separators and decanters is constantly changing and expanding, and because they are not off-the-shelf products, they must be selected and customized according to their end use. To facilitate this, GEA offers customers support via its Process Test Centers (PTC), where teams carry out product analyses, analytical measurements, machine trials and process developments to meet the requirements of producers and their specific process engineering task, as well as collecting all of this knowledge in a database, so that customers can draw on a wide range of expertise covering all GEA process engineering applications. This level of support is also critical in helping customers calculate their investment costs and ROI. 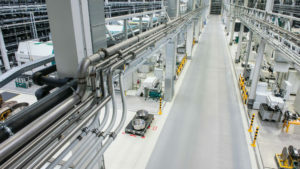 We’re also partnering our customers along their increasingly digital and automated journey – and well into the future – with a suite of digital solutions that support smart and sustainable production, including self-optimizing and self-learning systems, conditions-monitoring technology and service concepts that cover the complete life cycle of GEA machines and plants to enable sustainable plant operation.